Should you decide to take a stroll down ‘The Road Not Taken’, make sure you go in style with the Back Roads Hat. 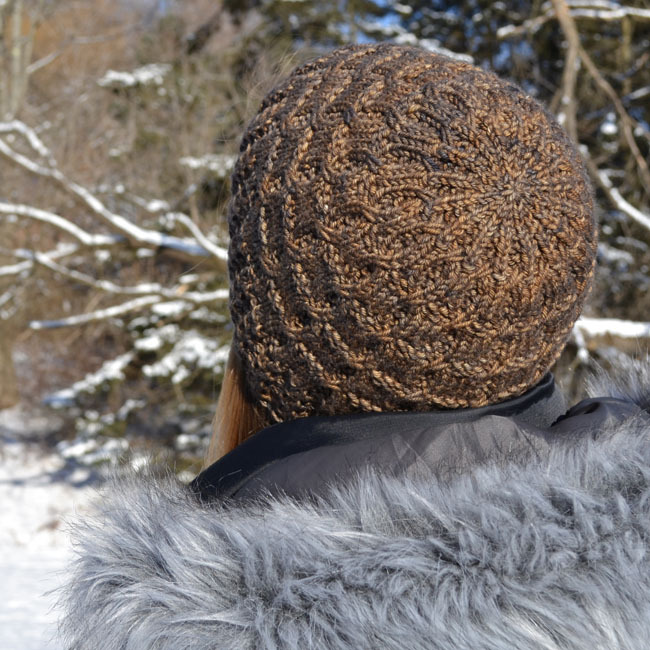 With lots of twists and turns all its’ own, the Back Roads Hat proves to be one interesting knit! This pattern is written for three sizes of approximately 20, 22, and 24” (51, 56, 61 cm) head circumferences to fit children through adults and looks as equally sharp on your sweetie as it will on you. The pattern is charted, but also includes complete written line by line instructions so the ability to read a chart is not necessary to work this pattern. Our first sample was knit using one 4 oz/110 gr (200 yds/183 m) skein of Madelinetosh Tosh Vintage (100% superwash merino wool) in the colorway Badlands. It only sounds wicked, but it’s really wicked good! Lots of depth of color in a scrumptious assortment of earth tones just right for a stroll down a forgotten byway. The second sample (featured on my blog preview page) was also Madelinetosh Tosh Vintage, but this time in the colorway, Dahlia. So, pull those hiking boots on, put on this stylish cap and take a lesson from Robert Frost. 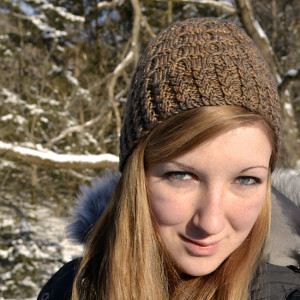 Full pattern details for the Back Roads Hat can be found here.